Centre de recherche du Centre hospitalier de l’Université de Montréal (CRCHUM) A hospital-based research centre oriented towards discovery, therapeutic. 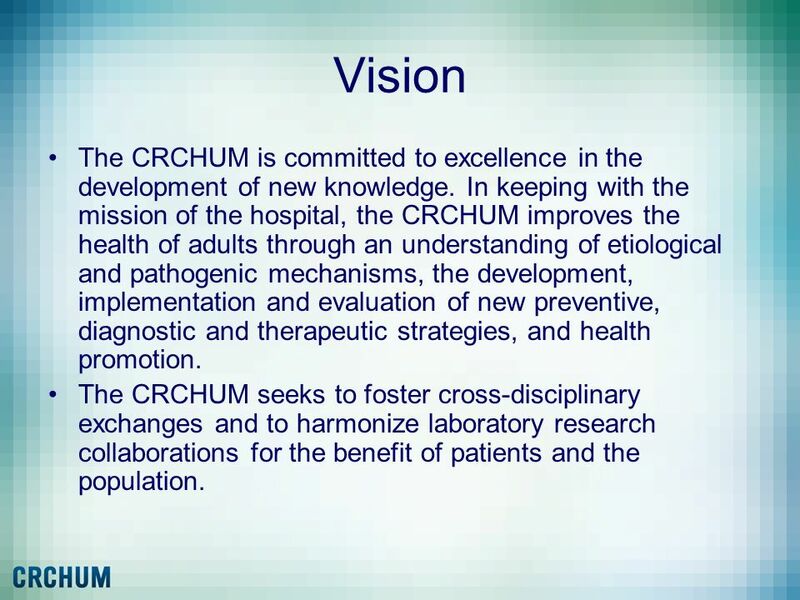 3 Vision The CRCHUM is committed to excellence in the development of new knowledge. 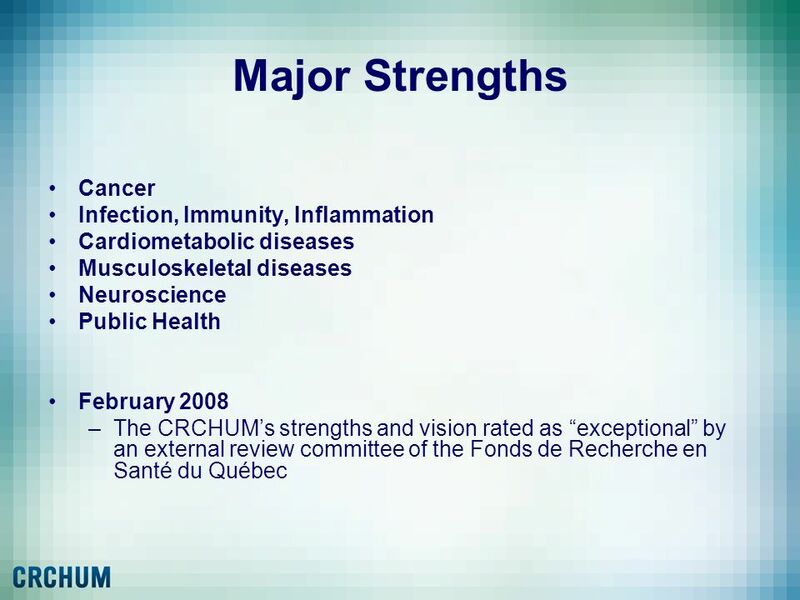 In keeping with the mission of the hospital, the CRCHUM improves the health of adults through an understanding of etiological and pathogenic mechanisms, the development, implementation and evaluation of new preventive, diagnostic and therapeutic strategies, and health promotion. 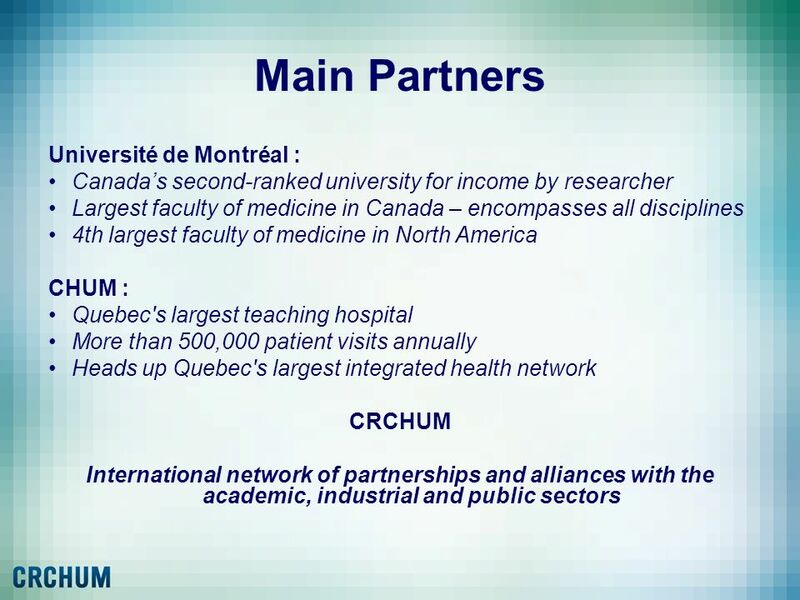 The CRCHUM seeks to foster cross-disciplinary exchanges and to harmonize laboratory research collaborations for the benefit of patients and the population. 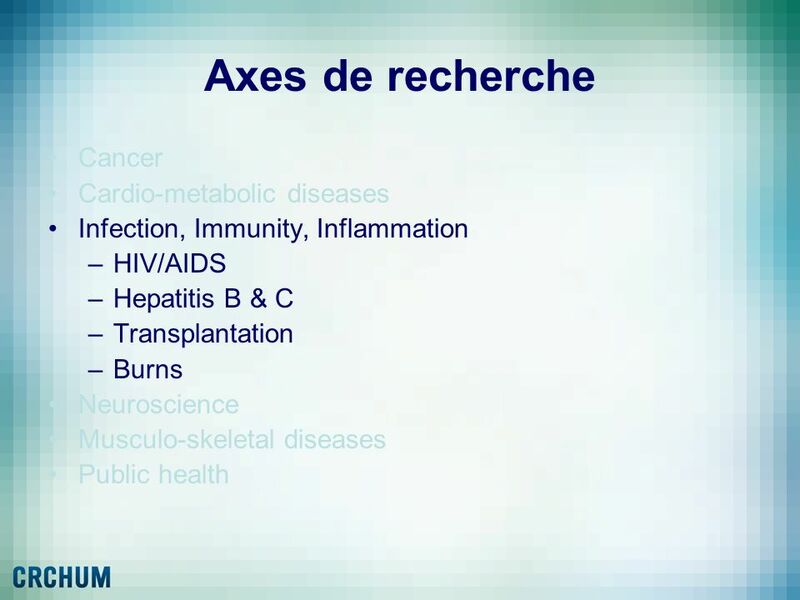 Risks to health – ex: modifiable causes of cancer and HIV/AIDS, potential links between behaviour or the environment and a given disease. 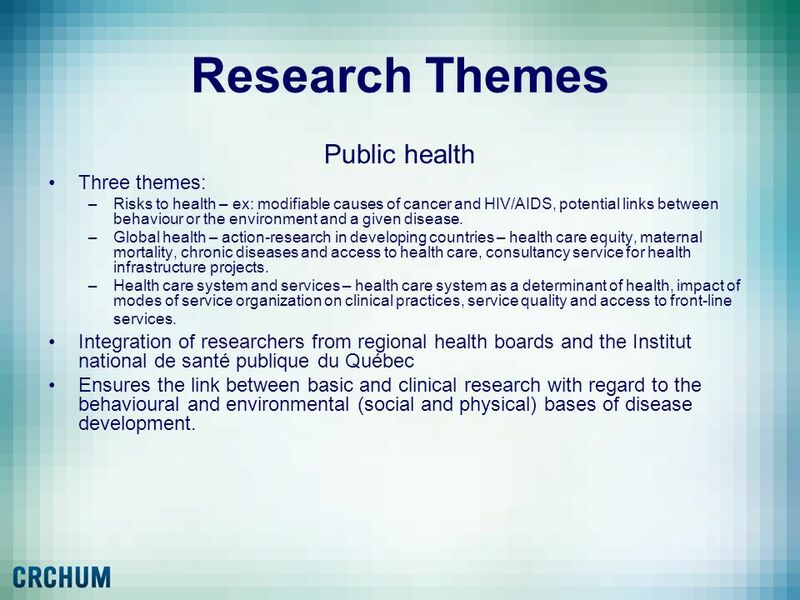 Global health – action-research in developing countries – health care equity, maternal mortality, chronic diseases and access to health care, consultancy service for health infrastructure projects. 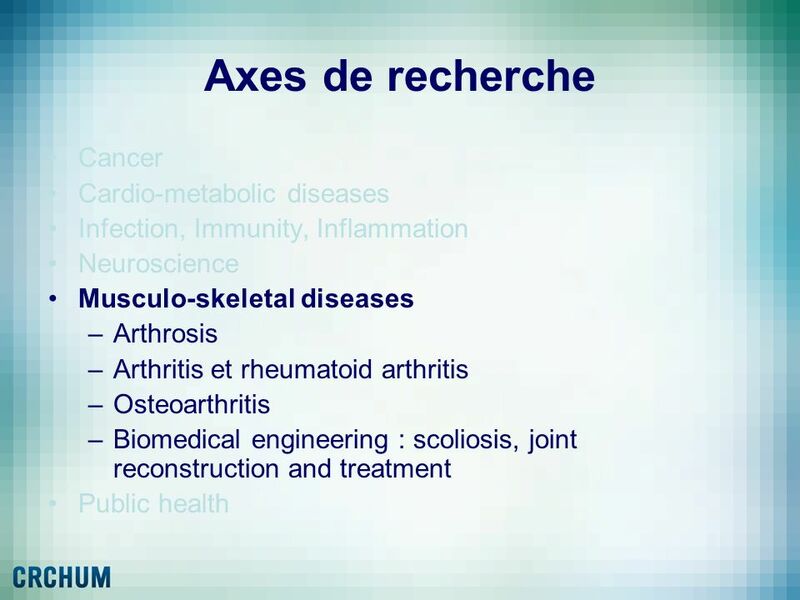 Health care system and services – health care system as a determinant of health, impact of modes of service organization on clinical practices, service quality and access to front-line services. 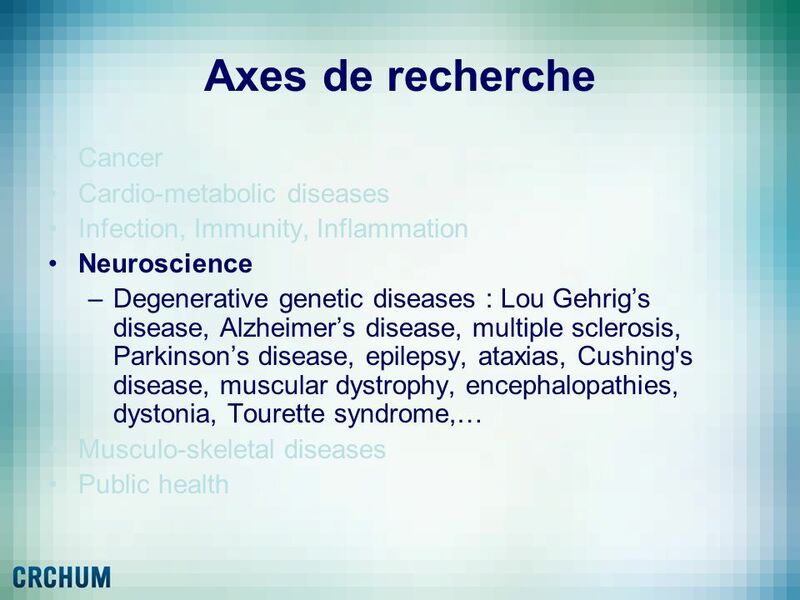 Integration of researchers from regional health boards and the Institut national de santé publique du Québec Ensures the link between basic and clinical research with regard to the behavioural and environmental (social and physical) bases of disease development. 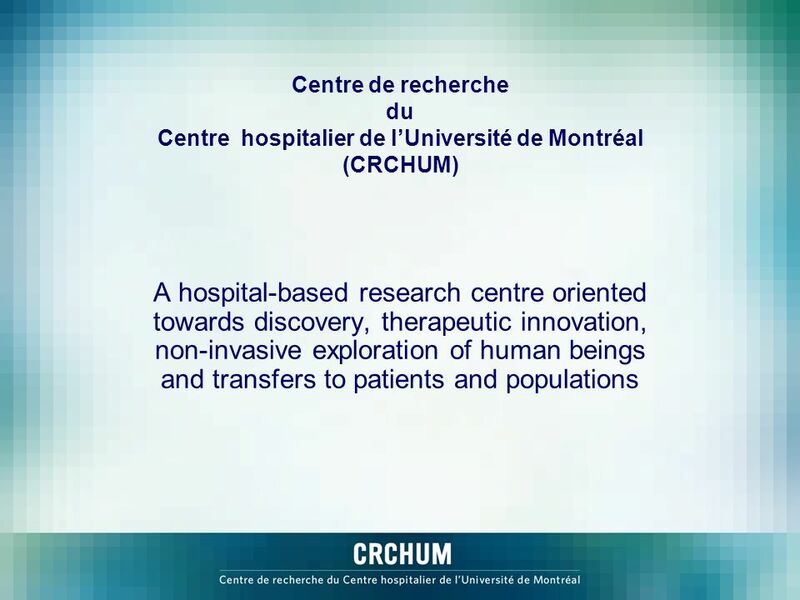 Download ppt "Centre de recherche du Centre hospitalier de l’Université de Montréal (CRCHUM) A hospital-based research centre oriented towards discovery, therapeutic." 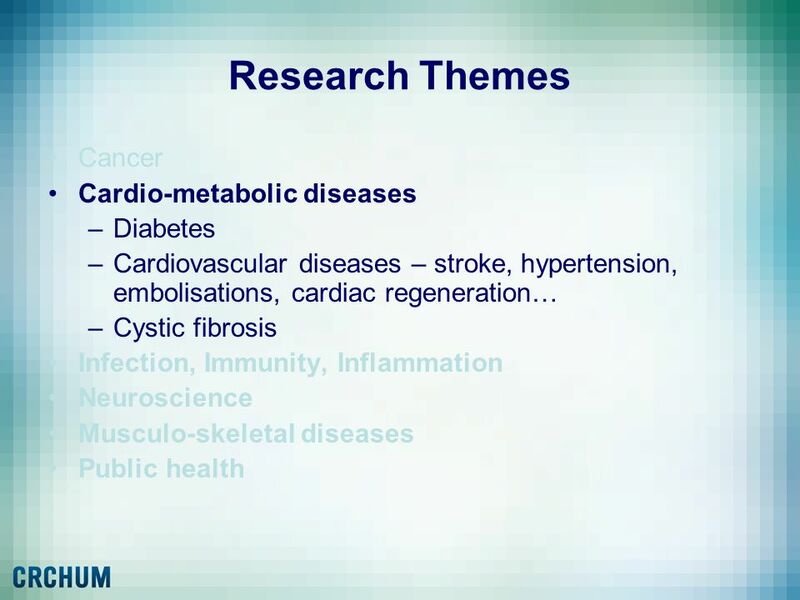 Research Leaders: Meeting the challenge Mark Walport 19 November 2008.
International Society for Heart and Lung Transplantation 2010 Annual Report International Society for Heart and Lung Transplantation: A Forum that Includes. 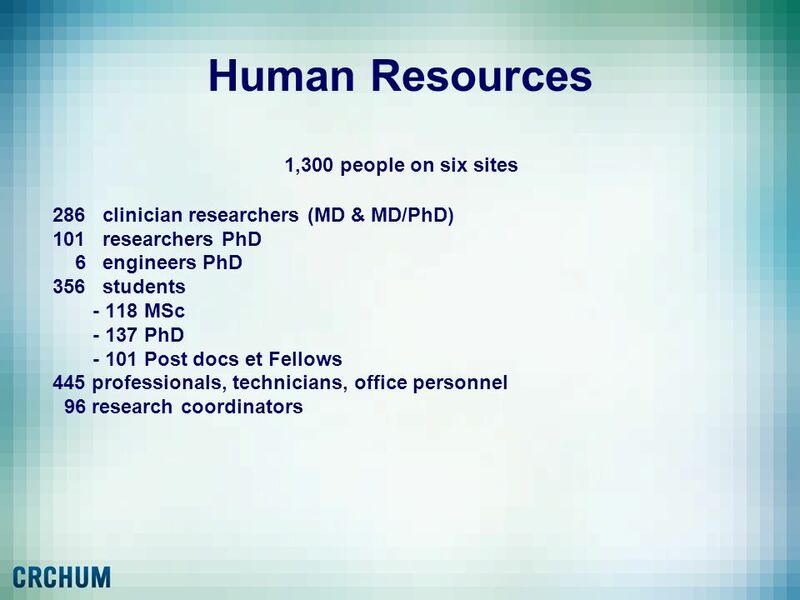 Care Transitions – Critical to Quality and Patient Safety Society of Hospital Medicine Lakshmi K. Halasyamani, MD. 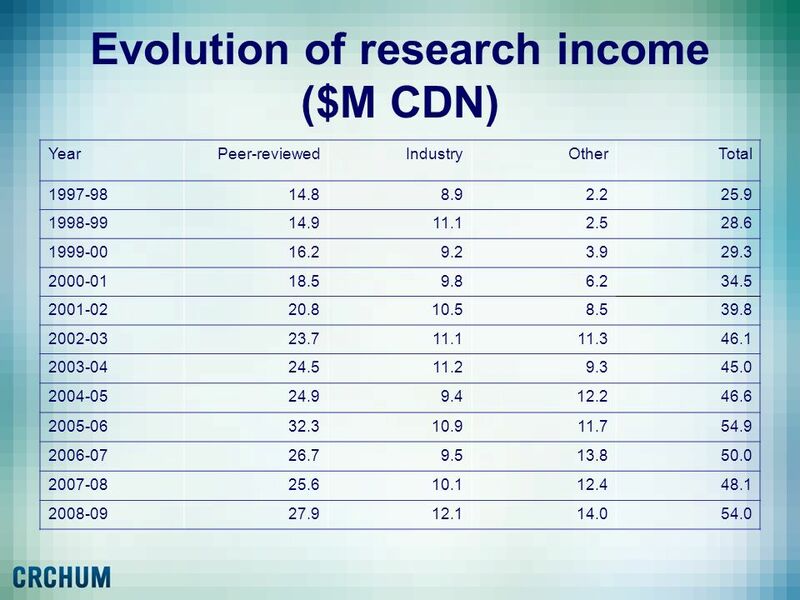 Paying for Care Coordination Gerard Anderson, PhD Johns Hopkins University. 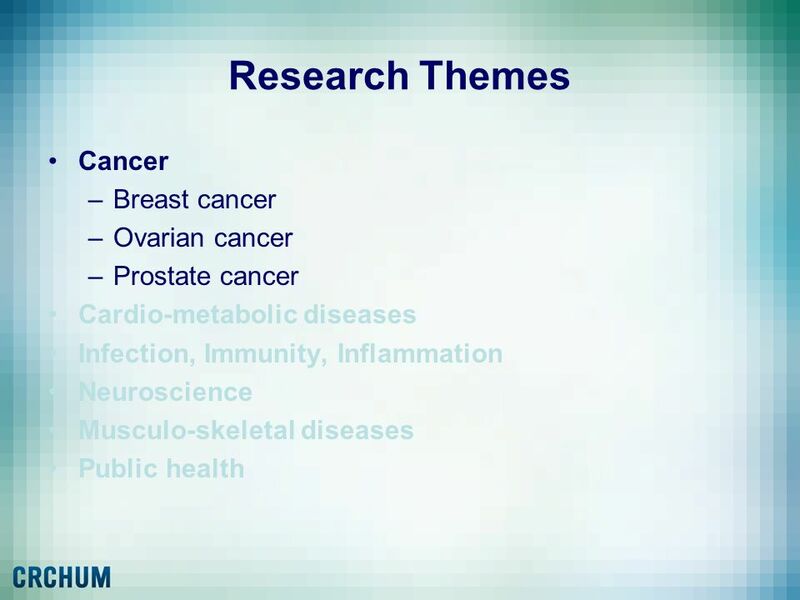 Cancer Research UK strategy and funding Simon Vincent. THE CARERS RESEARCH PARTNERSHIP Elizabeth McDade. 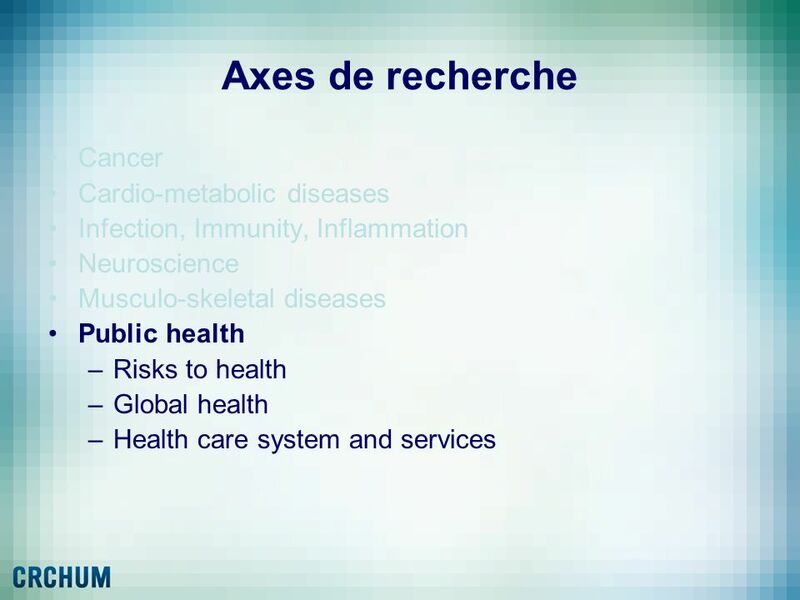 BARBADOS Trends in Health System Change and Health Sector Reform.